When buying footwear, it can be easy to fall into the trap of purchasing unwearable dress shoes which look great but which are uncomfortable to wear and which result in you experiencing foot problems. When considering purchasing dress shoes, you may immediately anticipate sore heels and pinched toes. However, many dress shoes and boots currently available ensure that comfort is a paramount feature, providing therapeutic-inspired and podiatrist-designed insoles to ensure that your feet are supported and protected. View the Best Mens Dress Shoes, Below. What if my Feet are Different Measurements? What is a Shoehorn For? Why do my Feet Sometimes Measure Differently? We have reviewed ten of the best men’s dress shoes currently on the market, helping you to decide which dress shoes are best for you. 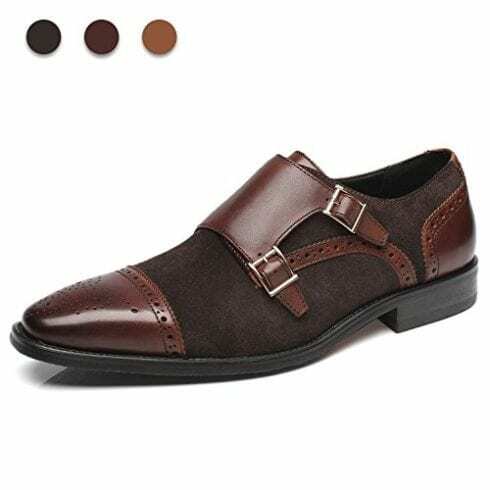 Being available in a choice of saddle tan, burgundy or black color options, Cole Haan Men's Pinch Tassel Loafer is a slip-on dress shoe for men which is made from 100% leather. Features include a moccasin-toe design, a sole mixed with leather and rubber for flexibility and durability in addition to a 1-inch stacked heel and decorative tassels, offering a combination of traditional features and modern trends. Sizes are available in 6 M US through to 13 3E US, providing a wide range of flexibility and comfort for your feet. Cole Haan is a premium American brand so you can rest assured that you are receiving a high-quality product, possessing great craftsmanship and style. The Cole Haan brand is synonymous with American quality, providing you with a strong product and reliable craftsmanship with a name you can trust. Furthermore, the Cole Hann Men’s Pinch Tassel Loafer is available in a wide choice of sizes and width options, providing comfort and support. The Anthony Veer Men's Monk Strap Shoes are available in a choice of four color options: honey brown, red tan, black and brown. 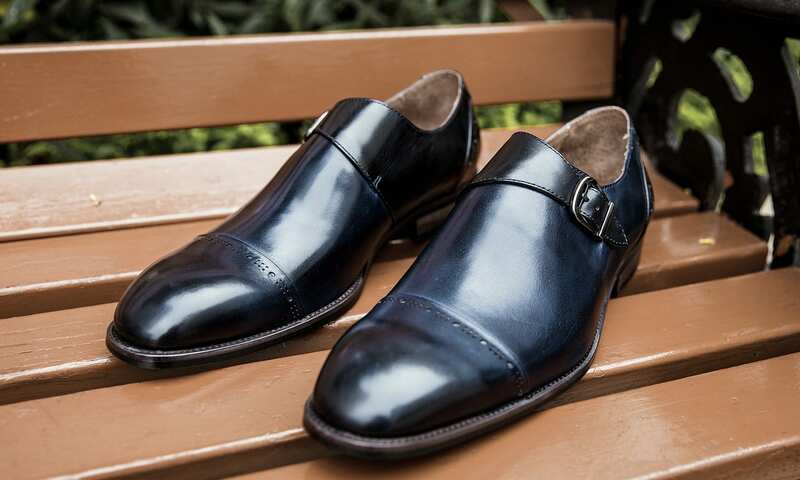 Being made from leather, these dress shoes are handcrafted with full-grain calf-skin across the upper leather in addition to possessing a leather-lined cushioned insole. The Goodyear welt construction ensures that only the highest quality of shoe construction is utilized, providing a highly durable, supportive and water resistant dress shoe. The unique monk strap design is stylish and modern, being crafted with passion and featuring ethically sourced materials and working conditions. The unique monk strap feature is a great design choice for the Anthony Veer Men's Monk Strap Shoes, adding something different to a traditional, dress shoe. Made from vegan-friendly materials such as synthetic leather, the Ferro Aldo Sterling Chelsea Boots comes in a choice of gray, brown and black color options, providing a sustainable and environmentally conscious option in men’s dress boots. Offering comfort, durability, and water resistant features, these boots exude breathability and quality. The double-stitched exterior enables flexibility and a comfortable feeling, providing an incorporated heel tab to offer a stress-free on/off motion and preventing folds during foot entry. 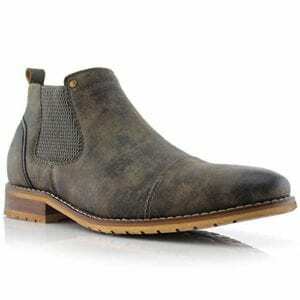 The Ferro Aldo Sterling Chelsea Boots comes in sizes 7.5 M US through to 13 M US. The Ferro Aldo Sterling Chelsea Boots are tough and durable yet are made from synthetic leather and vegan-friendly materials, ensuring that vegans can also enjoy comfortable, durable, stylish dress footwear. 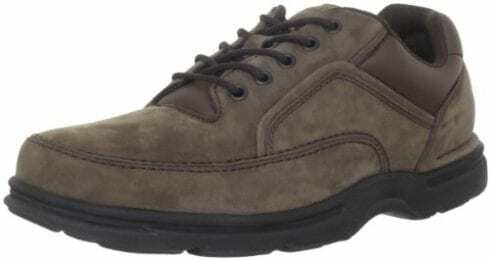 The Rockport Men's Eureka Walking Shoe offers a strong and comfortable shoe in a choice of six colors. Being made from 100% San Crispino and featuring a synthetic sole, the lace-up access supports a padded tongue and padded collar. Providing a latex foam footbed to offer the highest level of supportive cushioning, the additional mesh lining ensures breathability while the EVA midsole offers flexibility and a lightweight feeling. The outsole ensures that you experience stability and strong traction, with a wide range of extended sizes and widths available from 6.5 W US through to 14 M US. The Rockport Men's Eureka Walking Shoe is a highly durable and tough shoe which simultaneously looks smart and stylish. Being made from 100% leather with a rubber sole, the Cole Haan Men's Lenox Hill Cap Oxford shoes come in a choice of brown or black colors. Providing a heel which measures around 1.25-inches deep, classic lace-up access is offered amidst the tonal stitching. The style features cap-toe accents along with a clean, sleek leather upper, ensuring a smart and modern shoe, suitable for all occasions. Sizes are available from 7 W US through to 16 M US. 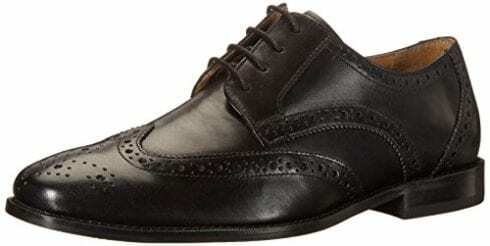 Cole Haan Men's Lenox Hill Cap Oxford shoes are a smart dress shoe which contains some effective features, highlighting the stylish, sleek and modern design offered from this brand. The Florsheim Men's Montinaro Dress Shoe comes in three different color choices of black, brown and saddle tan and is available in a wide range of sizes from 7 M US through to 13 WX US. Providing a synthetic sole for flexibility and durability, the memory foam insole adds a cushioning to absorb shock and impact while the breathable SuedeTec lining ensures that your feet stay fresh and clean. The hand-antiqued and burnished leather offers a stylish and modern dress shoe, suitable for all occasions. The Breathable SuedeTec lining and the additional memory foam are strong features of the Florsheim Men's Montinaro Dress Shoe, adding comfort and freshness to a classic dress shoe. The Stacy Adams Men's Oxford Shoe provides a 100% leather dress shoe with a synthetic sole, offering comfort, flexibility and a lightweight feel for your feet. Being available in a choice of three colors, you can choose from either tan, black or brown, along with sizes from 7 M US through to 14 M US. Features include a round toe in addition to a block heel, ensuring that the feet are cushioned well and supported effectively within the shoe. 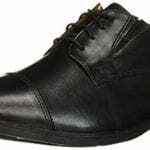 The lace-up access provides a traditional feel while maintaining the comfort and style of a modern shoe. The round toe and block heel are strong features of the Stacy Adams Men's Oxford Shoe, providing a classic yet modern shoe for all occasions. 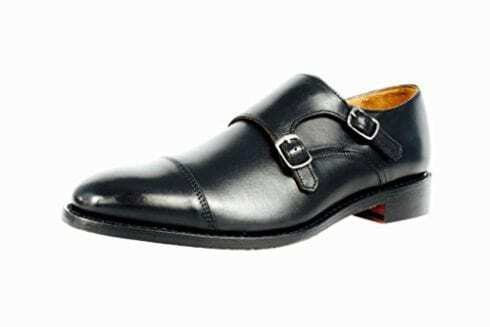 The La Milano Mens Double Monk Strap Loafer is a practical yet comfortable dress boot, made from Argentinian leather along with a synthetic lining for added cushioning. Featuring a 1.2-inch stacked heel, the cap toe adds a traditional yet modern twist while the monk strap provides the latest fashion trends. The dress boot provides a distinctive laser perforated medallion on the toe area, offering quality and a unique look. Being available in sizes 7 M US - 13 M US, these black dress boots are smart for special occasions and are casual for everyday use. The La Milano Mens Double Monk Strap Loafer is a smart dress boot, suitable for all occasions. Available in either rust or brown color choices, the Dr. Comfort Ruk Therapeutic Extra Boot is made from leather, offering authentic craftsmanship and a high-quality design. Providing lace-up access, the dress boots ensure perfect support and comfort with seamless padded lining and a lightweight feel. The special Dr. Comfort gel inserts come as standard, ensuring a protective and therapeutic feature to support your feet and ensure that you enjoy wearing your dress boots. The brown design features smooth leather while the rust design features a suede leather material. The Dr. Comfort Ruk Therapeutic Extra Boot combines a modern and stylish shoe with the therapeutic comfort and features of a specialist shoe, ensuring that your dress boots are modern while also being comfortable. 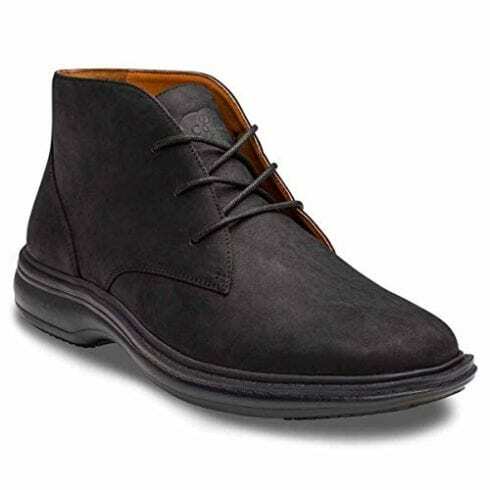 The Vionic Men’s Bowery Bruno Oxford Shoes are available in black, brown, dark brown and gray color choices, and are made from high-quality leather. Featuring an oxford style with brogue details, the classic leather uppers ensure that you are purchasing a professional and tailored shoe. The lace-up access ensures the perfect fit with the best support available, while the footbed built into the shoes are designed by a podiatrist and provide stability from the ground up. The outsole is made from durable rubber and ensures a lasting wear and the best in versatility. The podiatrist-designed footbed is a great feature of the Vionic Men’s Bowery Bruno Oxford Shoes, ensuring comfort and stability, looking after your feet with every step you take. On the whole, men’s dress shoes are mainly made out of leather, adding a high-quality finish and a sophisticated look. Many interior linings are also made out of leather, although some shoes use synthetic materials inside of the shoe to both save money and to add therapeutic features for added comfort. Soles may either be made out of rubber or synthetic materials for added flexibility and durability. It is possible to purchase great-looking and stylish mens’ dress shoes which are not made from leather and which are vegan-friendly, utilizing synthetic leather which still looks smart and modern. The most common colors used for male dress shoes are, of course, black and brown, although many men across America tend to choose an oxblood or a cordovan color male dress shoe. Other color choices may be burgundy or chestnut, with variations of gray becoming more and more fashionable. Depending upon the style of shoe and the type of fastening, men’s dress shoes may be categorized into different style categories. 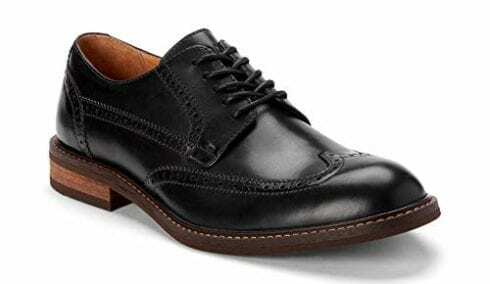 One of the most traditional styles is the Oxford shoe, also known as Balmorals. These types of shoe feature lace-up access and involve several pieces of leather being joined together and usually feature a toe cap. A similar type of shoe style is the Derby shoe, also known as Bluchers, possessing lace-up access although they are sometimes regarded as slightly less formal. Another type of men’s dress shoe style is the monk shoe, or the monk strap, which involves a strap and buckle fastening and no laces. These types of shoe are very popular for business and formal wear. Alternatively, loafers provide a slip-on style, sometimes with a tassel design feature. When purchasing dress shoes for men, the size and fit of your shoes are so important. While most people know roughly what size shoe they take, many people do not know what width size their feet are. Many types of dress shoes are now available in a variety of width sizes, ranging from a medium width which is a B measurement to a wide width which is a D width. When looking at size measurements for widths, the medium B width will be written as an M while a wide D width will be written as a W.
To achieve the perfect fit, you could use a Brannock device to achieve the most accurate way of measuring your feet. A Brannock device measures the overall length, width and the heel to ball arch length. To use a Brannock device, set the width bar and the length indicator to their widest positions. Take off your shoes and socks and position your feet in the device with your heel snugly pressed against the back of the device. Stand with an equal amount of weight on both feet. Pressing your toes flat onto the device, measure the heel to toe length by looking at the end of the longest toe. Next, place your thumb on the ball joint of the foot and slide the device forward so that the pointer fits the ball joint, highlighting the arch length. You should then compare the two measurements, the heel to toe length against the arch length; choose the larger size. Finally, measure the width by sliding the bar to the edge of the foot, rounding up if the foot falls between two width sizes. You will then have to repeat for the second foot. It is very common for an individual’s feet to measure slightly differently. If this is the case, you should purchase the larger size. If there is a larger difference, then perhaps you could consider purchasing tailor-made custom fit shoes which are designed and made exactly for your feet. A shoehorn is designed to help you to put your shoes on without damaging your shoes. You should always try to use a shoehorn, to avoid damaging the heel. To use a shoehorn, loosen the laces or the buckle and place the shoehorn blade inside the shoe, at the back of the heel. 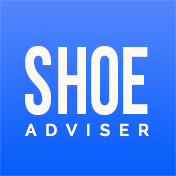 Place your toes inside of the shoe and rest your heel against the inserted shoehorn. Push your heel against the shoehorn and the material of the shoehorn will help you to slide your foot into the shoe. Remove the shoehorn and your foot should comfortably be placed into the shoe. You should never measure your feet in the morning. Always try to measure your feet in the afternoon as your feet may swell up slightly as the day progresses, providing a larger size in the afternoon or evening. This is important so that your shoes will be comfortable even if you wear them all day, ensuring long term wearability and longevity so that you receive the most out of your purchase. To find your perfect dress shoe fit, there are three measurements which you need to consider: the length of your foot from the heel to the toe, the width of your foot and the arch length measurement which is measured from the heel to the ball of your foot. When you are wearing dress shoes, the ball of your foot must fit into the shoe properly as the shoe flexes, as an ill-fitting shoe may cause damage to both your feet in addition to your shoes. The traditional Oxford shoe design was named after Oxford University in England, although they actually first appeared in both Scotland and Ireland and are sometimes referred to as Balmorals, in relation to Balmoral Castle. Across America, Oxford style shoes are sometimes known as Bal-type shoes, having first appeared in North America in the 1800s. 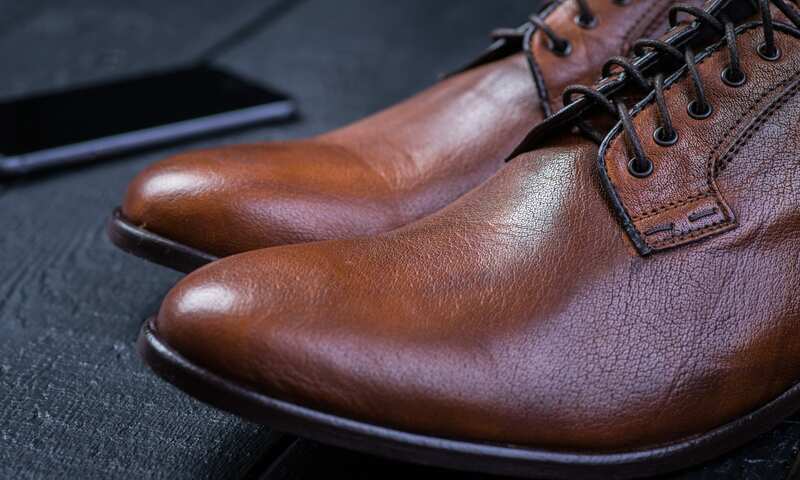 We hope you enjoyed our article on "10 Best Mens Dress Shoes in 2019", if so, please share and rate it.